With loads of curiosity, after some time I proceed to taste them. Both beers come in these odd small and wide bottles, with a broad top that lets the beer almost fall out of it when you pour it. The only decipherable words on the label highlight concepts like "speciality", "premium", "pride", "passion" or "craftmanship". Nothing out of the shamefully ordinary. I think that companies who are serious about what they do should begin rationing or even avoiding this kind of stuff. Still, I like one item: "Reward yourself at the end of the day". I guess it describes one of my favourite daily beer moments. 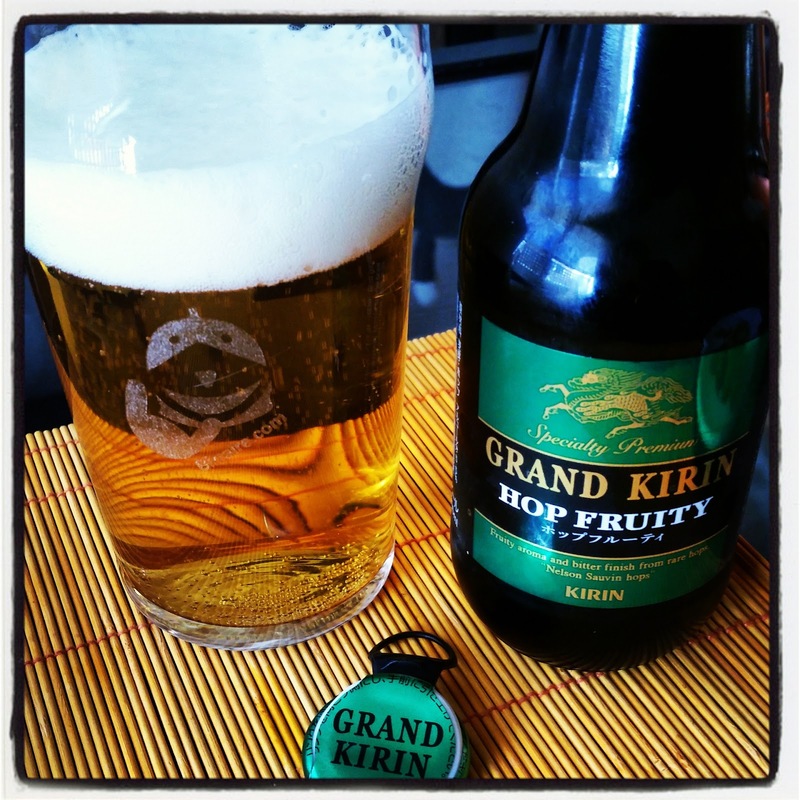 I start with Grand Kirin Hop Fruity. As stated in the label, I can clearly sense some of the aromatic properties I associate to Nelson Sauvin hops, and its profile is fruity, indeed. It also has a bitterish piney aftertaste, but it is quite sweet in general, and has a kind of artificial overall feeling. After my last gulp I have the feeling that our fellow Japanese beer drinkers now have their own Leffe Blonde, according to what I presume* must be their current taste trends. In this case, it seems the lately popular Hoppy Lagers have also reached the tastebuds of the inhabitants of the country of the rising sun. 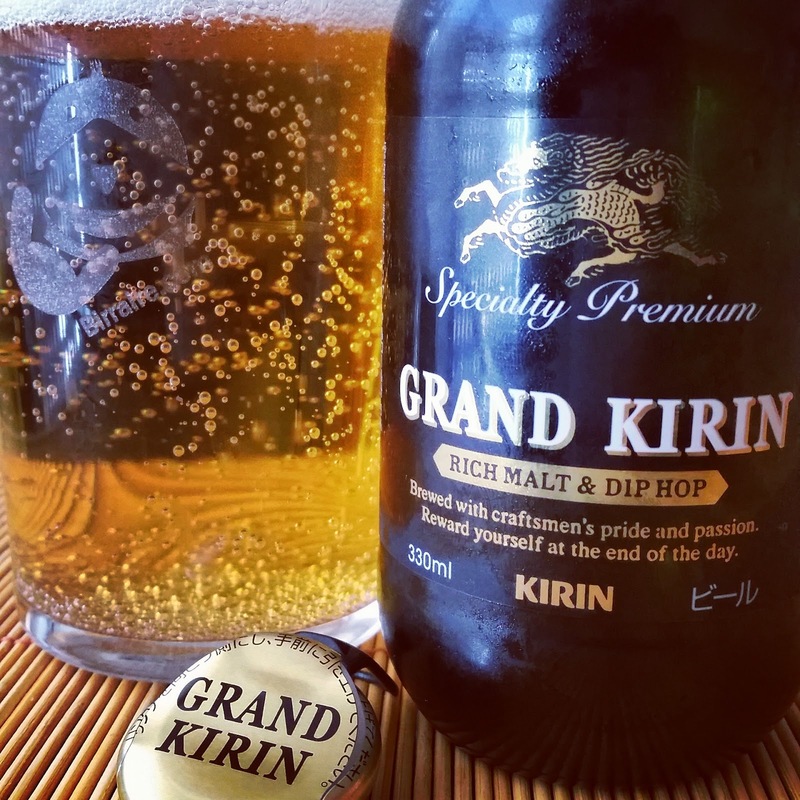 However, the second one (Grand Kirin, just like that) makes me realise that the quality is still quite below the reliability one can find when drinking AB-InBev's most famous Belgian beers. In fact, I suspect Hop Fruity was far better than the second one just thanks to its hoppy character, which I can barely notice on this other one (mild citrus and herbal hints). Does this hoppy diversion technique sound familiar to you, too? (It might depend on where you live, but in young beer scenes like the one we have down here it used to be very popular... and can still be). During the drinking I randomly reflect on how the big boys of the brewing industry have reacted to this new beer offer, call it "craft beer" or whatever. Not very long ago deniers stated that big companies were far from worried about the whole thing. But reality shows us that there have been lots of different first reactions to the phenomenon. They may have forecasted that those first tickles could eventually become more than just a pain in their behinds. Locally, Damm has reacted with their usual warring attitude: banning and slagging microbrewers off. I have no data to sustain it, but I don't think this strategy has brought them anything positive. On the other hand, after flirting with the concept of "craft beer", Moritz built up a 1.000 liters brewery in the centre of Barcelona to produce their two year-round offerings unpasteurised. Lately, they've also posted messages supposedly supporting microbrewers, announcing future collaborations with some of them. They even encouraged their followers on social networks to attend Barcelona Beer Festival without their beer being on offer, for the sake of "beer culture". Mahou are probably the ones who have engaged in more different initiatives. They've shown a brighter strategic vision and corporative dynamism than their peers so far. 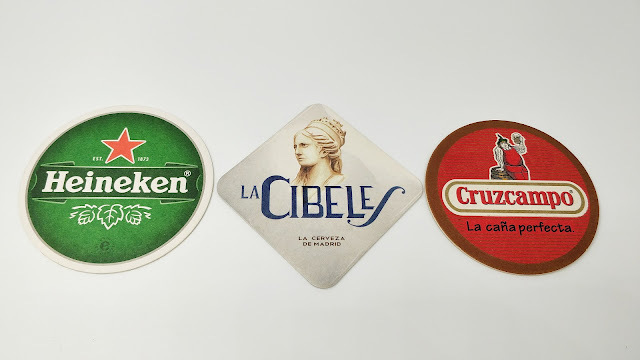 Apart from founding Cervecera Independiente, a website to spread the word about beer culture, some weeks ago they appeared on the news because of their acquisition of a certain block of shares from Founders. As of now, we already know it was not just corporative strategy. It has a true beer-related motivation behind. On their behalf, Hijos de Rivera has expanded its beer portfolio, while putting more effort on spreading the word about their "special" beers. They've also created a beer called Estrella Galicia Artesana (i.e. Estrella Galicia Craft), and have increased the number of bars with their Cerveza de Bodega (i.e. tank, unpasteurtised Estrella Galicia) on offer. Nothing to get too thrilled about, but after all improvements that the beer drinker can sense in his glass. Honestly I'm looking forward to see what some of these reactions eventually bring us. I'm specially curious about Moritz's collaborations and other initatives. Naturally, I'm also quite anxious** about one of the big topics to write and discuss in 2015: the availability of Founders in our country. I give one more gulp to my Grand Kirin. As it warms, it is getting more and more syrupy, and with a greater presence of maize. Still, in my reflections, I think that in general terms the consumer is winning. The offer is widening in every point of sale, and it will surely keep enlarging. Meanwhile, new products appear constantly: some of them might be "definitive" for a good part of the consumers, but some others will prove to be a perfect bridge for some people that will eventually look for something more. And who will be the one offering this "something more"? Call it Goose Island, Nøgne, Founders, or whichever company that has been partially or totally purchased by one of the big guys. Those companies purists frown upon. Or it could be independent companies: bigger or smaller, more or less likeable for the beer connoisseur, with complex or simple operative and brewing processes. Many of our microbreweries could be there, but most of them will have to evolve substantially from their present state. There's a lot of fascinating work ahead. Some companies will close, others will reinvent themselves. Maybe we even see a couple of mergers. And we can be sure that there will be sentimental losses. During the whole process everybody should keep attentive and open-minded, understanding that today's scene could dramatically switch tomorrow. Companies, like people, will have to adapt to the oncoming changes... or try to be part of them. Uncertainty upon changing times. But in the end I'm sure that in all this current transformation the beer scene will improve as a whole. 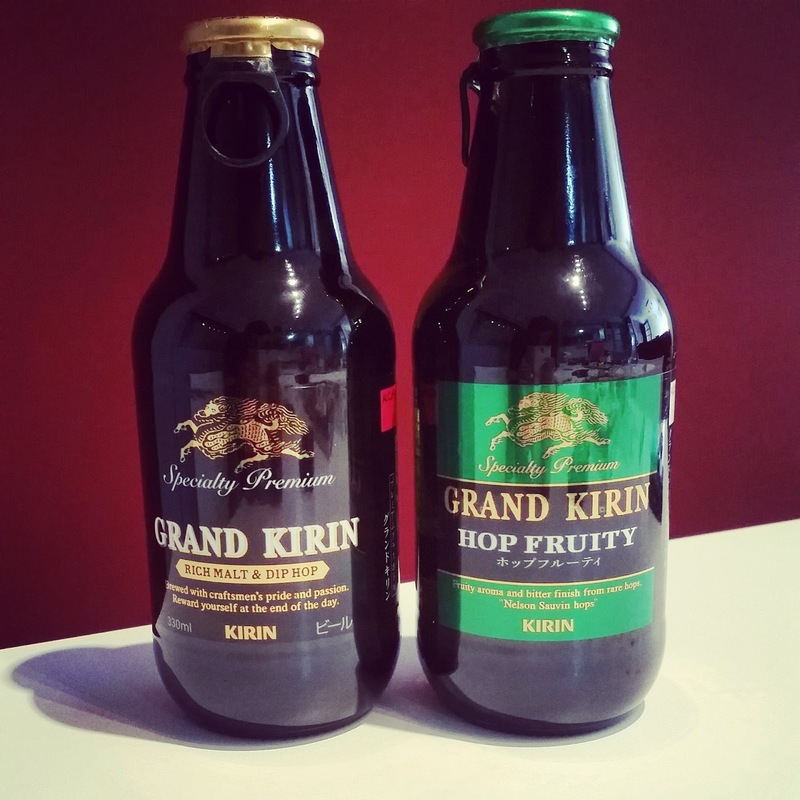 * Presumably, as I don't think Kirin placed its bet on these beers without carrying a previous thorough market reserach. ** I'd be utterly excited if I favoured American beer as much as most fellow local beer geeks.